Entry is free and open to Hong Kong residents aged 18 and over at the time of entry and that have fulfilled the eligibility requirements as set out in these T&Cs (“Eligible Entrant(s)”). Employees (or Family Members of employees) of, any of, beIN SPORTS Asia Pte Limited, any companies associated with the Contest and promotion of the Contest and all affiliates of such aforementioned companies are not eligible. “Family Members” means spouse, ex-spouse, de-facto spouse, child or step child (whether natural or by adoption), parent, step parent, grandparent, step grandparent, uncle, aunt, niece, nephew, brother, sister, step brother, step sister or 1st cousin. Only Eligible Entrants may be awarded and/or accept a Prize. The Contest begins on 19 April 2019, from 10am and ends on 21 April 2019, 6pm (the “Contest Period”). All Entries must be received by beIN SPORTS within the Contest Period. To enter, Eligible Entrants must provide beIN SPORTS with their particulars including name, contact number and email in the Entry Form prior to their participation in the Contest. Each game round is limited to three (3) attempts (“Round”). Eligible Entrants may participate in as many Rounds as they like during the Contest but they are required to join the end of the queue at the end of each Round. All Eligible Entrants must take off any badges, accessories and sharp objects before entering the game area of the Contest and beIN SPORTS reserves the right to request that such items be removed before participation. All Eligible Entrants must be physically fit (and has not been otherwise advised by a qualified practitioner) to enter in this Contest and beIN SPORTS reserves the right to stop any individuals with health concerns from participating in this Contest. This is a skills based competition and chance plays no part in determining the winner. The winning Entry will be based on the highest score attained by an Eligible Entrant in a Round during the Contest Period. On 22 April 2019, beIN SPORTS will select one valid Entry which best meet the judging criteria referred to in clause 6 and 7 as the winner. 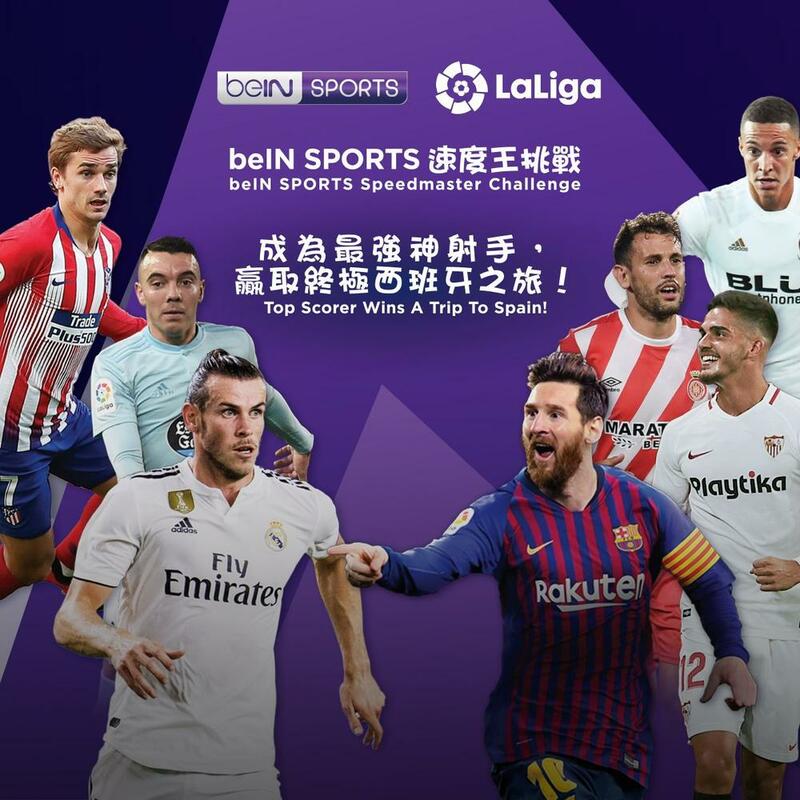 beIN SPORTS will notify the winner via its Facebook page and publish his/her names on https://www.facebook.com/beinsportsHongKong/ on 22 April 2019 and contact him/her via telephone and email (“Prize Winner”). If the Prize Winner does not respond and claim the Prize within twenty-four (24) hours after the date of notification, beIN SPORTS may then select a substitute winner and attempt to contact such substitute winner through email, telephone and Facebook in accordance with this clause 9 until one Prize Winner have claimed the Prizes (“Substitute Winners”). beIN SPORTS’ decision in relation to any aspect of the Contest is final and binding on each Eligible Entrant. No correspondence will be entered into. beIN SPORTS reserves the right to request Prize Winner and his/her travel companion to sign an appearance release and waiver of liability, to provide proof of identity, proof of age, proof of residency or any other relevant forms or agreements that beIN SPORTS deems necessary in order to claim a Prize. In the event that any of the Prize Winner(s) cannot provide suitable proof, the effected Prize Winners will be deemed to have forfeited the Prize in whole and no substitute will be offered. Should any of the potential Prize Winners be unable to travel during the Travel Date, the Prize will be forfeited and rendered to a Substitute Winner in the same process as determined in Clause 9 above. Prize Winners may be requested to complete and return documents regarding acceptance of the Prize, trip restrictions (e.g. blackout dates etc. ), standard disclaimers of warranties to verify eligibility, use of Prize Winners’ and travel companions’ likeness, personal information, as well as confidentiality. Prize Winners must complete and return any such required documents within two (2) days of the date of notice, in order to claim his/her Prize. If a Prize Winner fails to submit same within the required time period, the relevant Prize will be forfeited and rendered to a Substitute Winner. (iv) transfers (to/from the airport and to/from the stadium on match day) during the travel. The Prize Winner and his/her travel companion must travel together on the abovementioned Travel Date. Air tickets and hotel bookings must be completed by the date advised by beIN SPORTS. The Prize cannot be used as part payment for another airfare package. Frequent flyer points cannot be accrued on this Prize. Travel is subject to availability at the time of booking. Blackout dates may apply. Once bookings are confirmed, no changes can be made. All components of the Prize must be taken together. Any component of the Prize not redeemed within a single round trip will be forfeited and cash will not be awarded in lieu of that component of the Prize. All necessary travel documents and visa applications, taxes, charges and other incidentals not specified in the Prize will be the responsibility of the Prize Winner and his/her travel companion. A valid passport and visa (if applicable) in order to travel to Singapore to enjoy the Prize is a requirement (and is the Prize Winner sole responsibility). Travel arrangements and transfers to and from the Prize Winner’s home and their nearest capital city airport are the responsibility of the Prize Winner and his/her travel companion. All expenses, unless otherwise specified, including but not limited to meals, gratuities, spending money, excess baggage, travel insurance, personal and transport expenses, mini-bar, laundry, room service, telephone calls, service charges, pre and post accommodation, optional activities or excursion and all taxes and any other incidental expenses in conjunction with the trip are not included in the Prize. A credit card imprint or cash deposit may be required from the Prize Winner at check-in to the hotel, for all incidental charges. Compliance with any health or other government requirements is the responsibility of the Prize Winner and his/her travel companions. The travel component of the Prize will be subject to the carrier’s general conditions of carriage. beIN SPORTS and the carrier make no representation as to the safety, conditions or other issues that may exist at any destination. International travel advice can be obtained from various sources, including local government, local consular office and the web site of the Office of the Commissioner of the Ministry of Foreign Affairs of the People’s Republic of China in the Hong Kong Special Administrative Region at www.fmcoprc.gov.hk/eng. The travel component included in the Prize must be taken to coincide with the relevant event or the times and dates during which the attraction is available. Travel insurance is not included in the Prize but is highly recommended. The Prizes (including any component thereof) is subject to availability. The Prizes (including any component thereof) cannot be transferred, assigned, substituted or exchanged for cash, credit or any other items. beIN SPORTS will not replace any lost, damaged or stolen Prizes (including any component thereof). The Prize Winner is advised that tax implications may arise from their Prize and they should seek independent financial advice prior to acceptance of any Prizes. The Prize Winner and his/her travel companion may be invited to attend interview(s) arranged by beIN SPORTS. The Prize Winner consents and grants to, and procures the consent of their travel companions, friends and relatives featured in the content submission, beIN SPORTS and/or third parties appointed by beIN SPORTS, a perpetual and non-exclusive license for the use of any photos, video and audio capturing their names, voice, photos and/or images in any form of media on a worldwide basis for publicity and other purposes deemed appropriate by beIN SPORTS and without any remuneration. If the Prizes is not available or in the event of force majeure or unforeseen factors, beIN SPORTS may, without consultation or reference to the participants, substitute or replace any Prize with any other Prize of equal or similar value at the sole determination of beIN SPORTS. Cash will not be awarded as a substitute. It is a condition of accepting the Prize that the Prize Winner must comply with all the conditions of use of the Prize and Prize supplier’s requirements. Each Prize must be taken as stated and no compensation will be payable if a Prize Winner is unable to use such Prize as stated. By entering this Contest, and by collecting the Prize, the Prize Winner acknowledges and accepts that driving, travel (if any) and any other activities comprising the Prize, are inherently dangerous and may result in death, injury incapacity, damage to property or other losses. beIN SPORTS is not responsible for the reckless or negligent acts or omissions of a Prize Winner or for any acts of god, such as adverse weather conditions or industrial action or civil commotion that may occur whilst a Prize Winner is travelling. It is the responsibility of the Prize Winner to enquire about local issues and conditions at destinations prior to travel. beIN Sports does not guarantee that the Prize Winner will enjoy the Prize or be suited to the type of Prize that is offered. The travel companion of the Prize Winner must sign a travel companion ‘Release Form’ releasing beIN SPORTS from liability and providing necessary publicity release and consent for use of personal information. The travel companion is only entitled to participate in the Prize as a guest of the Prize Winner and beIN SPORTS will not be responsible if a Prize Winner changes his/her mind about which travel companion or any travel companion he/she wants to accompany her/him. Travel companions must be aged 18 and over at the time of acceptance of Prize and have necessary travel documents and obtain any necessary visas. beIN SPORTS may refuse or disqualify any Entries (including winning Entries) if the Eligible Entrant concerned acts in a way towards either beIN SPORTS, its affiliates, partners, or their agents or staff which beIN SPORTS reasonably considers to be inappropriate, unlawful or offensive. If a Prize Winner is disqualified, beIN SPORTS reserves the right to award the Prize to a Substitute Winner in accordance to Clause 9 above. beIN SPORTS reserves the right to immediately revoke a Prize from a Prize Winner and travel companion who acts in a manner deemed unsportsmanlike or inappropriate. Prize Winner must continue to comply with all T&Cs, and winning is contingent upon fulfilling of all requirements. In the event that a Prize Winner is disqualified for any reason, beIN SPORTS will award the Prize to a Substitute Winner selected from all remaining eligible Entries in accordance with the process of selection of winners stated in clause 9 above. Nothing in these T&Cs limit, exclude or modify or purports to limit, exclude or modify the statutory consumer guarantees as provided under any consumer protection laws in Hong Kong (“Non-Excludable Guarantees”). beIN SPORTS and its parent, subsidiaries, affiliates, advertising and promotion agencies, other companies associated with the Contest, and each of their respective officers, directors, employees, shareholders, representatives, and agents is referred to as the “Released Parties”. Except in the case of death or personal injury arising from the Released Parties’ negligence or in respect of fraud and so far as is permitted by law, Released Parties are excluded from all responsibility and all liabilities for any personal injury, or any loss or damage (including loss of opportunity), whether direct or indirect, special or consequential, arising from (a) any technical difficulties or equipment malfunction (whether or not under beIN SPORTS control); (b) any theft, unauthorized access or third party interference; (c) any Entry or Prize claim that is late, lost, altered, damaged or misdirected (whether or not after the receipt by beIN SPORTS) due to any reason beyond their control (d) any variation in Prize value to that stated in these T&Cs (e) any tax liability incurred by a winner or Eligible Entrant or (f) use of a Prize. By participating in the Contest, participants agree to release and hold harmless Released Parties from and against any claim or cause of action arising out of participation in the Contest or receipt or use of the Prize (including any travel or activity related thereto). In the event of any disputes in respect of any matter relating to the Contest or the game facilities, beIN SPORTS’ decision shall be final and binding. In the event there are inconsistencies between the English and Chinese T&Cs, the English version shall prevail. distribute marketing or promotional material to the Eligible Entrant. Should any of the potential Prize Winners be unable to travel during the date the relevant match is conducted, the Prize will be forfeited and rendered to a Substitute Winner in the same process as determined in Clause 9 above. transfers (to/from the airport and to/from the stadium on match day) during the travel. The Prize Winner and his/her travel companion must travel together. Air tickets and hotel bookings must be completed by the date advised by beIN SPORTS. The Prize cannot be used as part payment for another airfare package. Frequent flyer points cannot be accrued on this Prize. Travel is subject to availability at the time of booking. Blackout dates may apply. Once bookings are confirmed, no changes can be made. All components of the Prize must be taken together. Any component of the Prize not redeemed within a single round trip will be forfeited and cash will not be awarded in lieu of that component of the Prize. The travel companion of the Prize Winner must sign a travel companion form releasing beIN SPORTS from liability and providing necessary publicity release and consent for use of personal information. The travel companion is only entitled to participate in the Prize as a guest of the Prize Winner and beIN SPORTS will not be responsible if a Prize Winner changes his/her mind about which travel companion or any travel companion he/she wants to accompany her/him. Travel companions must be aged 18 and over at the time of acceptance of Prize and have necessary travel documents and obtain any necessary visas. In the event of any disputes in respect of any matter relating to the Contest or the [game facilities], beIN SPORTS’ decision shall be final and binding. In the event there are inconsistencies between the English and Chinese T&Cs, the English version shall prevail.